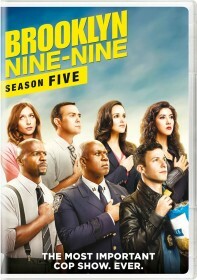 FOX has issued the press release for the October 17 episode of Brooklyn Nine-Nine, "HalloVeen". The Nine-Nine embarks on its fifth annual Halloween Heist and, as usual, everybody has a plan and no one is safe. Relationships and friendships are tested as the title "Amazing Human Slash Genius" must be snagged by midnight, leaving everyone pitted against each other in the all-new "HalloVeen" episode of BROOKLYN NINE-NINE airing Tuesday, Oct. 17 (9:30-10:00 PM ET/PT) on FOX.